Monty's Deli is raising £150,000 investment on Crowdcube. Capital At Risk. Having grown from a tiny market stall to a critically acclaimed restaurant, Monty’s Deli are aiming to expand their offering across a number of new market sites in London. In April 2017 Monty’s Deli opened their first restaurant on Hoxton Street in the heart of the east end following a successful crowdfunding campaign. Now a year old, it has built up a solid customer base and received positive reviews from FT magazine, ES magazine, Sunday Times, Time Out and more. Inspired by the famous Jewish delis of the US and the Ashkenazi-style Jewish food of co-owner Mark's childhood, Monty’s Deli produces all its smoked and cured meat and fish, bagels, mustards and many more products in-house. The site on Hoxton St is a 65 cover restaurant with a large kitchen space capable of producing for many other locations, acquired with the intention of rolling out the concept to a number of other smaller market sites. In January 2018, a site was opened in 'The Kitchens', a new food-focused development of the historic Old Spitalfields Market, which has been successful. The popularity of these multi-operator food markets is a fast growing trend in London and is anticipated to spread to other areas of the UK. We are now looking for investment to expand this market model to another three London sites initially, and then more across the UK. To see the rest of the Monty's Deli pitch, join now. 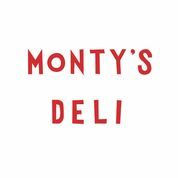 Join to read more information about the Monty's Deli team, documents, and what other investors are saying about the pitch.